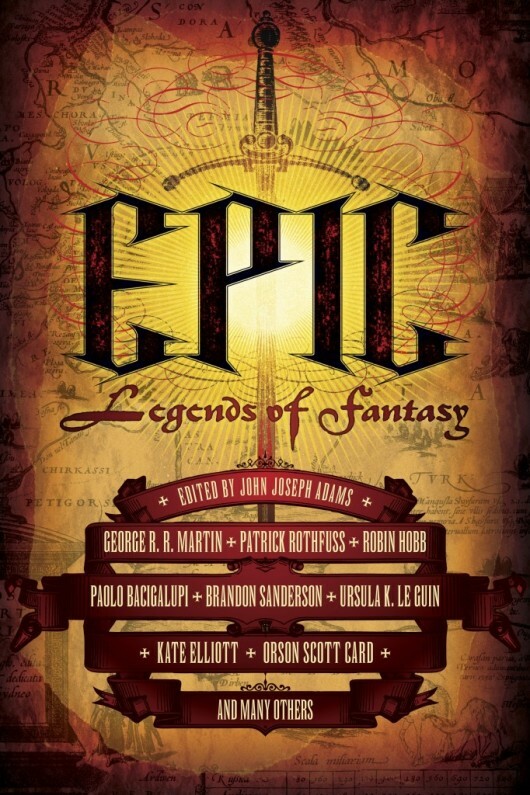 ‘Epic: Legends of Fantasy’ is an anthology edited together by John Joseph Adams featuring work that’s mostly previously published from many famous authors, and yet still a nice collection whether you’ve read it all before already or not. This anthology is worthwhile despite the inclusion of previously published work, because you’d be hard pressed to find a reader who’s read all work by all authors included. For example, one of the pieces was first published back in 1961. However, I wish it had been made more apparent, as I wasn’t aware some sections are simply chapters taken from novels, such as Brandon Sanderson’s ‘Rysn’. The pieces are longer than the usual short story, which gives the chance to really submerge yourself in the world completely. The only bad thing is that it’ll mean you basically have to buy the books and probably the series that the pieces have been taken from, so make sure you have a spare few weeks and money ready and waiting.